The PKI 6025 is a camouflaged jammer designed for wall installation. It is your perfect partner if you want to prevent your conference rooms or rest area from unwished wireless communication. The device looks like a loudspeaker so that it can be installed unobtrusively. The jammer covers all frequencies used by mobile phones, even the 2.5 GHz range for WLAN and Bluetooth. Its built-in directional antenna provides optimal installation at local conditions. Larger areas or elongated sites will be covered by multiple devices. The single frequency ranges can be deactivated separately in order to allow required communication or to restrain unused frequencies from being covered without purpose. 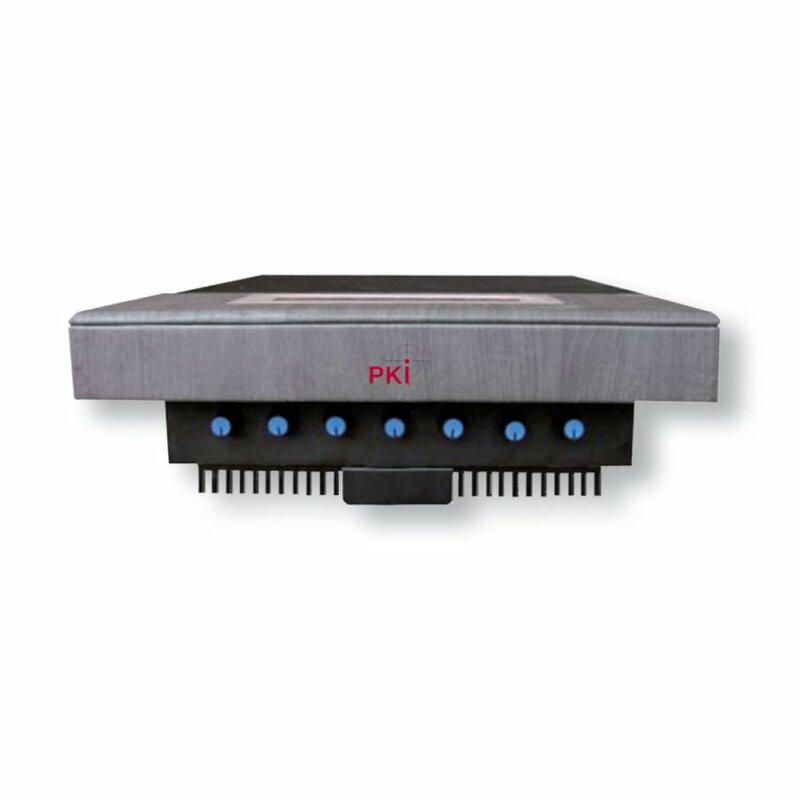 The PKI 6025 looks like a wall loudspeaker and is therefore well camouflaged. Optionally, it is possible to incorporate the GPS frequency in case operation of devices with detection function is undesired.